An examination of the Texas Imperial Health Insurance Company brings up the Texas Imperial Life Insurance Company. The company sells life and accident insurance in Texas with an emphasis on funeral, burial, and end-of-life expenses. Enter your zip code to find health insurance rates for your area. Texas Imperial is part of the Hawthorne Life Insurance Group and United Benefits, Inc., a funeral expense insurance company comprised of United Funeral Directors Benefit Life Insurance Company and United Funeral Benefit Life Insurance Company. The company moved its books and records out of Texas in 2007, established offices in Springfield, Illinois, and then moved back to Texas in 2010. It was acquired by United Benefits Inc., at the end of 2009. The company’s headquarters are located in Richardson, Texas. There are between 10 and 19 employees on staff. 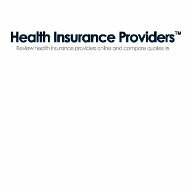 The company is a member of the Texas Association of Life & Health Insurers and the Oklahoma Association of Life & Health Insurers. The company can file your information with the funeral home of your choice so that your final wishes are honored. Final expense life insurance packages are also offered by the company. One is offered for those in excellent health, and it is available in values from $1,000 to $15,000. Another is available to those who have serious health issues, precluding cancer; it is also not available to anyone who requires care at a nursing home facility. Each insurance policy offers premiums for 3, 5, 7, 10, and 20-years up to age 98. Texas Imperial also offers two rider policies that can be added on to another policy. The Child Rider policy provides $1,000 to each natural or adopted child or grandchild, with a maximum of 10 children. The company requires at least one insured adult policy to add the rider to. The policy pays out when the child reaches age 25. The Accidental Death Benefit Rider offers more benefits in the case of an accidental death when added to an existing insurance policy. According to the Texas Department of Insurance, the company had $3 million in total assets at the end of 2010; which was much lower than the average of $25 million from 2009 and 2008. Capital remained the same at $700,000. Life and annuities premiums from 2010 were $941,853 and national premiums were $966,638, both hundreds of thousands of dollars lower than the two prior years. The company has had no complaints registered in the last three years with the Texas Department of Insurance or the Better Business Bureau. As the BBB rates a company based on how customer complaints are resolved, the BBB does not yet have a rating for Texas Imperial. The parent company of Texas Imperial, United Funeral Directors Benefit Life Insurance Company, is rated as an E+, or very weak, by Weiss Ratings, an agency that rates the credit and financial strength of banks, businesses, and insurance companies. According to Weiss, the parent company has a weak financial outlook. The company is led by President Charlie Robert Allison. The Vice President is Karen Baumgardener, and the Chief Executive Officer is Thomas Ray Elam. All three are on the company’s board of directors along with Terri Lealos Morgan and Helen Anne Allison. Office hours are from 7:30 a.m. to 5:00 p.m. Monday through Thursday, and until 12:30 pm on Friday. The offices are closed on Saturday and Sunday. There is also a fill-in form on the company’s website at to electronically send a question or comment. Insert your zip code to get a health insurance quote right now.